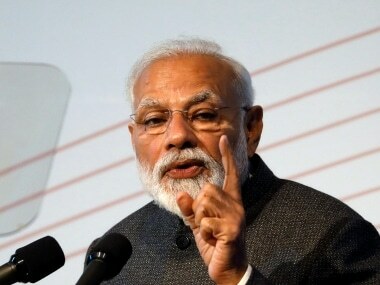 Just a month after Nepal's prime minister KP Oli made a three-day visit to India, Prime Minister Narendra Modi is set to make a reciprocal visit on 11-12 May in a bid to further bolster relations between the two countries. 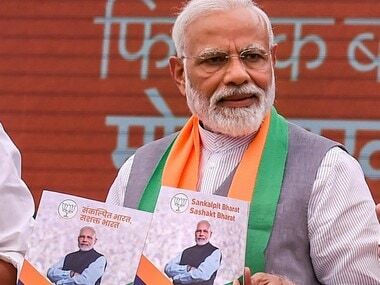 Prior to his arrival in Kathmandu, Modi will visit Janaki Temple in Janakpur situated in southern Nepal and Muktinath Temple situated in Mustang district of northwest Nepal on Friday. 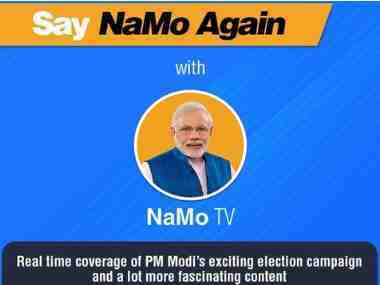 In Janakpur, the provincial government will separately organise a civic reception in honour of Modi before he flies to Mustang and Kathmandu. One of the key highlights of his visit will be the inauguration of the 900 MW Arun 111 hydropower project. This is seen as a move to integrate Nepal's economy with that of India, something analysts say will go a long way to counter China's growing influence in the Himalayan nation, as Livemint reported. Preparations have reached the final stage and security has been stepped up. Security has been increased in Mustang district, home to famous Hindu pilgrimage site Muktinath. "Security has been tightened throughout the district with the Nepal Police, the Armed Police Force, the Nepal Army and the National Investigation Department conducting security surveillance," Chief District Officer Sishir Poudel told PTI. The security arrangements ahead of and during the visit assume an even greater significance because a pressure cooker bomb went off outside an Indian consulate office in Nepal's Biratnagar last month. In the backdrop of the blast, the security situation has been tightened. In a rare attack on a foreign mission in Nepal in April this year, a pressure-cooker bomb exploded outside the office of the Indian consulate in the country's eastern Biratnagar city damaging its wall but no one was hurt. The bomb was triggered by an unknown group in an open space behind the building and created a small hole in the wall, the police said. "A minor explosion took place along the rear boundary wall of the camp office of embassy of India at Biratnagar, Nepal at about 20:15 hours on April 16. No one has been injured in the incident," Ministry of External Affairs spokesperson Raveesh Kumar said. Another blast happened at the office of a hydroelectricity project in Nepal developed with Indian assistance, just weeks before its inauguration by Modi. The compound wall of 900 MW Arun III Hydroelectric Power Plant's office in Khandbari-9, Tumlingtar, nearly 500 kilometres from Kathmandu, suffered minor damage after the explosion, My Republica reported. A Project Development Agreement (PDA) for Arun III was signed with India's state-owned Satluj Jal Vidyut Nigam (SJVN) on 25 November, 2014 in the presence of the then Prime Minister Sushil Koirala and Modi, the report said. Just before Modi's visit to Wuhan, Chinese foreign minister Wang Yi had proposed to his counterpart from Nepal Pradeep Kumar Gyawali trilateral cooperation between India, Nepal and China in building an economic corridor. Welcoming the 'informal' meet between Modi and Chinese president Xi Jinping, Gyawali told Xinhua, "Nepal is always open and positive toward the concept of trilateral cooperation with China and India in many fields, including economic development." While India has reportedly not shown much interest in the trilateral cooperation since it was mooted, an ORF report said that it will be advantageous for Nepal to go ahead as the proposed infrastructure project would connect with China. With Nepal seems to be leaning a little more towards China, Modi's visit to the nation might ease tensions and give a fillip to bilateral ties. 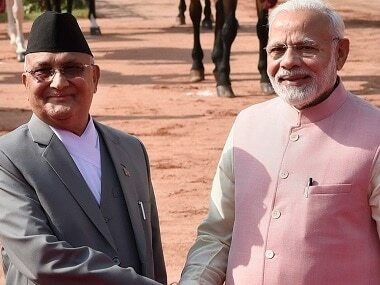 While KP Oli asserted that his Indian visit was 'significant and fruitful', Modi's visit would "mark the beginning of the end of a bitter chapter in bilateral relations," according to The Indian Express. After a three-day diplomatic visit to India, Oli said the tour helped clear misunderstandings and mistrust between the two nations, and strengthened mutual trust. "The bilateral relations will move forward in a new direction on the basis of equality and mutual interest. We have agreed to expedite past agreements and understandings reached between the two countries," he said. An interlocutor involved in backchannel talks told Hindustan Times, "India has to engage with the elected government of Nepal. Oli has said categorically that he will not allow Nepali soil to be used against Indian interests. His India visit was successful and interactions here went well. 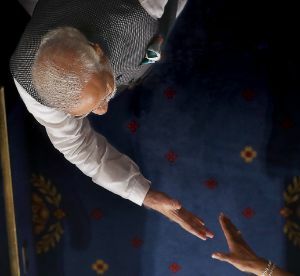 By paying a reciprocal visit, Modi wants to maintain the momentum in ties and truly put past differences behind us."